Quick, effective & to the point! Building a business for the future. Which Coaching Package do I need? Our photography business coaching packages are designed to suit everyone’s needs, budgets and expectations for your business and life. If you require anything different than what is stated above just let Mark know and he can tailor a package to suit your needs. You need a professional to consult with you to set up / plan, work through and complete a full task. eg: price list set up, ProSelect, CRM, expo, marketing plan, sales techniques, systems and procedures, streamline your business, products and placement, etc. Designed for business owners who are stuck and need help to complete the specific set task at hand, eg: setting up a marketing campaign, products, pricing, lighting, shoot to sell, price objection, selling techniques, closing sales, phone calls, etc. Make sure you look at the sprint coaching page for all the information and to find the right course for you. Helps set up all your systems and procedures, run campaigns, smart goals, stay focused, and hold your hand every step of the way. To give you 110% of Mark’s attention, this package is limited to a maximum of 6 clients only. Contact Mark to see if there are any places available. Similar to “Endurance” but more hands on and constantly analysing your business, keeping track of leads and sessions, AVO’s, marketing, making sure you are moving forward at all times and celebrating the great wins we are going to have. This package is limited to a maximum of 3 clients only. Mark understands that there are many reasons why you may want to invest in business coaching. If you are in a situation you want to get out of and you feel you just can’t afford it at the moment, Mark has different payment options to get you off and running. Once you have implemented the new strategies that Mark helps you with, the ongoing/complete payments can be made within 1-2 months. Please contact Mark directly to discuss payment options to suit your individual needs. *Note: Mark had an endurance coaching package with a business coach for 2 years when he started his photography business. It was the best decision he ever made. He went from a new business working from home to a successful studio running out of a boutique premises within 18 months. The ONLY reason that Mark moved on from using a coach is that he employed 2 full time staff members with amazing knowledge and skills that became an unstoppable team. Yes, Mark does travel interstate to do coaching and training. Most of the training we can do over the phone and Skype. Sometimes it’s best to be face to face and work side by side to get the best results and maximum effect. Packages are a minimum of two full days plus expenses. ​Contact Mark to discuss details. 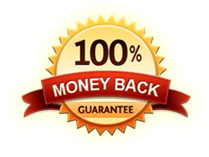 There is 100% refund if you attend any coaching session and are not happy after the first day/session. You need to let Mark know at the end of day 1/session and return all manuals and given resources to him to receive your refund if you have paid in full prior to the commencement of the coaching.